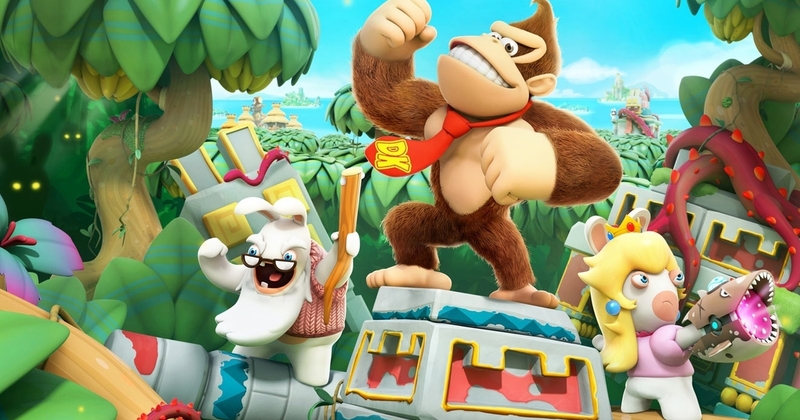 Donkey Kong has arrived in Mario + Rabbids: Kingdom Battle, courtesy of DLC. Donkey Kong Adventure is now available for Nintendo Switch users and features a brand new story and areas focused primarily on Donkey Kong. Well, mostly – he has some help in the form of Rabbid Peach and Rabbid Cranky. We challenge you to find a stranger trio in gaming. Promising 10 hours of new gameplay, Donkey Kong Adventure adds new enemies and gameplay mechanics to further mix up the action. Donkey Kong has some interesting moves like bongo drums to use against foes as he eventually comes face to face with the imposing Rabbid Kong. Retailing for $15, Donkey Kong Adventure can be downloaded from the Nintendo eShop now. Mario + Rabbids players who own the Season Pass will receive it for free along with all previously released DLC. Check out the launch trailer below for more information on the DLC’s colourful adventure. You can also check out GamingBolt’s official review for Mario + Rabbids: Kingdom Battle here.